Stocktaking a warehouse involves physically counting all of your stock and matching this to your warehouse inventory system to highlight discrepancies and most importantly, to correct them. The frequency of stocktake varies between businesses, there is no right or wrong way, however if you are looking to grow your retail business and you trade online then it is imperative that stock levels are correct so that you can successfully fulfil ecommerce orders. If you fail to fulfil an ecommerce order you are letting down that customer. Failing to fulfil multiple orders will definitely damage your brand reputation. With ecommerce in particular it is very easy to leave a bad rating, a few clicks and an unhappy customer can provide poor feedback. Feedback, ratings and reviews are commonplace online and have a huge impact on conversions. Nobody enjoys stocktaking. Perpetual stocktakes where you stocktake a small area of stock helps, but the overall process is still a daunting and stressful experience. If you don’t have a warehouse mapping in place then more than likely you will be stocktaking an entire warehouse in one go. Stock is always moving and this is where mistakes are made. People are under pressure to complete the stocktake as quickly as possible, pressure from managers and time restrictions force errors. In most cases errors occur due to the size of the job and the stress and pressure that comes with it - but there is a solution..
By organising your warehouse space into sections for holding specific stock, the job of stocktaking becomes much easier. Stocktaking is now fast and the pressure is off because you no longer need to perform a huge stocktake in one go. 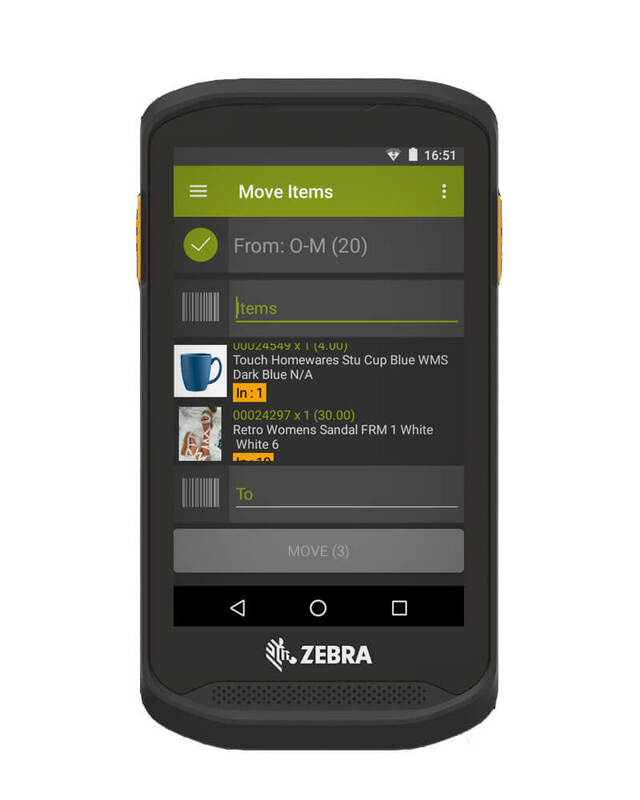 With TRIMS WMS you can simply scan a section barcode that contains a small number of items, scan its contents and set the system stock to the items that you have scanned. Any discrepancies are recorded and your stock level is adjusted in real-time so that your online availability accurately reflects any changes. It is now possible to focus on stocktaking best selling lines or areas where you have noticed fulfilment issues. No longer do you have to process a stocktake for an entire location, you can concentrate on problematic areas and products that are likely to have fulfilment issues. Warehouse stocktaking is now more manageable and is one of the many WMS time-saving features that make up the TRIMS WMS System. Feel this may be the solution for you? Learn more about TRIMS WMS by completing this quick form.